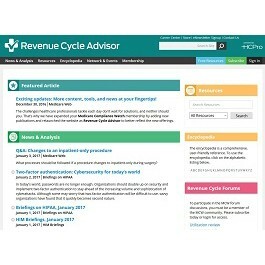 Unlock the doors to the latest revenue cycle news, analysis, and education your organization needs with Revenue Cycle Advisor as your key. 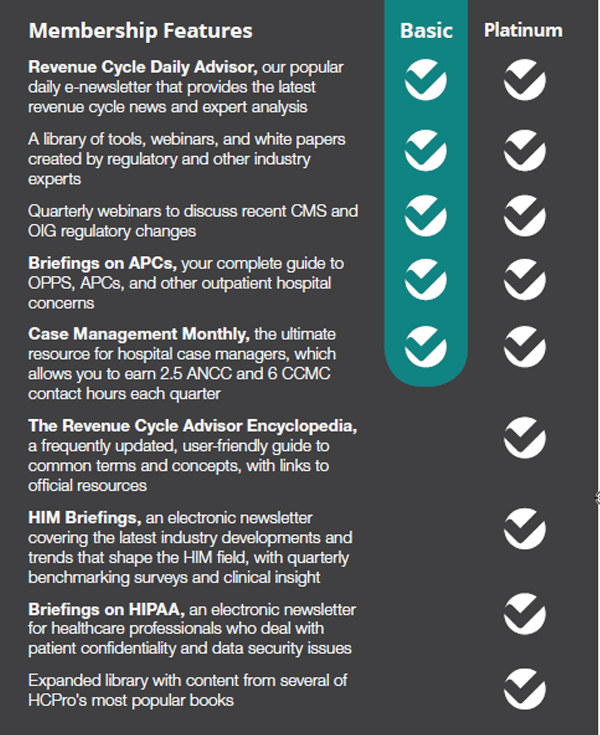 This comprehensive website combines all of HCPro's revenue cycle regulatory, compliance, case management, HIM, and reimbursement resources, giving you a single trustworthy tool to help you navigate the ever-changing healthcare landscape. Stop scanning through endless rules and trying to interpret complex regulations—our regulatory experts will analyze and break down the most pertinent information for your organization in a straightforward but thorough way. The easy-to-access portal includes monthly newsletter subscriptions packed with strategies and trends, quarterly members-only webinars, and the opportunity to network with peers through online forums. As an added perk, a daily email newsletter highlighting the latest revenue cycle news will be delivered right to your inbox. Check out the various membership levels. Click on each tab for more information. View this demo of Revenue Cycle Advisor for more information on how to use the website and what is included in a membership.